Deborah Hensley, Vice President of Client Coaching, has been a certified New Product Blueprinting Trainer and Coach for The AIM Institute since the company’s first anniversary in 2006. In this role, she delivers New Product Blueprinting workshops and provides individual coaching to participants. She is passionate about New Product Blueprinting and LaunchStar principles and tools and applying them to new product development projects. Debbi leads many of the post-workshop client-team web-conferences and provides individual team coaching. She is committed to the success of her teams! Prior to joining AIM, Debbi worked 23 years in the chemical industry, starting at the Monsanto Company, later joining BFGoodrich which became Noveon, Inc. and then was purchased by Lubrizol. 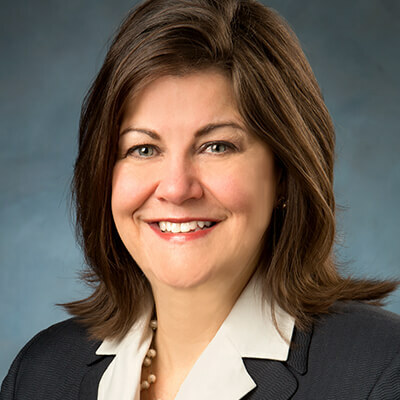 She has held management roles in technical service, sales, new business development and business management; primarily in the plastics, process chemical and coatings industries. End-use applications include: Automotive, Electrical/Electronics, Small Appliances, Medical, Residential Construction, Paints and Coatings, Wire and Cable and Consumer Products. She has enjoyed learning about the business models in each one. Debbi received a BS in Chemical Engineering from the University of Notre Dame, where she was also a two-year starter at the point guard position on the women’s Division I basketball team. Debbi has attended the Management Development Program at the University of Michigan, Ross School of Business. She has been recognized as an award-winning speaker and her professional emphasis is in the area of business-to-business customer interviewing techniques. Naturally inquisitive, Debbi has always liked to learn how almost anything works.